In the world of looter-shooter games, there really hasn’t been any that give players what they want — or at least expect. From launching games unfinished and mediocre sequels to the controversies regarding pay-to-win strategies, the shooter genre reputation seems to be fading. “Tom Clancy’s The Division 2” is absolutely not what I expected. Apparently, Massive Entertainment and Ubisoft have taken note of the many examples on the market of what not to do. So far, “Division 2” is off to an amazing start, with emphasis on lasting gameplay and an improved combat system from its predecessor. It’s a Tom Clancy-verse, third-person, live service (always online) shooter that takes the player on trips throughout a dystopian wasteland in Washington, D.C., where rival factions fight for power. Just like in the first one, set in New York City, there’s a mysterious green gas called the “Green Poison” that has spread, wreaking havoc on citizens as a tweaked out version of smallpox. A key component to almost any game is for the player to feel like they are in the game, taking charge, reacting and taking action. A good way games like “Division 2” do this is through character customization, while also adding the fact that your character doesn’t speak — a nod to Shigeru Miyamoto’s “Legend of Zelda” series’ hero, Link. Link doesn’t speak in order to maintain the illusion of the player as the character. The customization — and the wide variety of non-player characters (NPCs) — allow for full ethnic representation without virtue signaling. Photo courtesy Gamespot. Realistic post-apocalyptic scenery puts you front and center. Another way Massive has increased player engagement and plans to keep it is through consistent, compelling and rewarding gameplay. BioWare’s looter-shooter “Anthem” has faced major backlash from fans and critics alike for its limited, boring and worthless loot. This backlash is something a developer cannot afford. On the other hand, there might be too much to loot in “Division 2.” Loot comes more from the surrounding areas than enemy drops. Chests that hold loot blend very well into the eerily realistic post-apocalyptic environment, making it fun, but also distracting, to explore in order to find them. Constant chest hunting could prevent players from focusing on the current task at hand, causing difficulty in furthering or remembering an objective. It’s much easier when playing with others. Enemy drops are more scarce compared to “Division 1,” where you could loot enemies’ bodies. When playing with others, the loot drops and pickups are not shared among team members, so each player has to obtain what they can by picking up any duplicate or additional drops if there are any. The weaponry and armor aren’t as awe-inducing compared to games like “Destiny,” but the items are more differentiated than those found in “Anthem,” and lead to meaningful progression along with special skill objects obtained by leveling up. Matchmaking can make for long wait times, so it is either best to play with others locally or solo. Most shooter games are not known for their in-depth story line, and this is no different. While there is a serious story, which includes audio visual logs and text entries, none of these are tied together, making the narrative more of a backdrop. 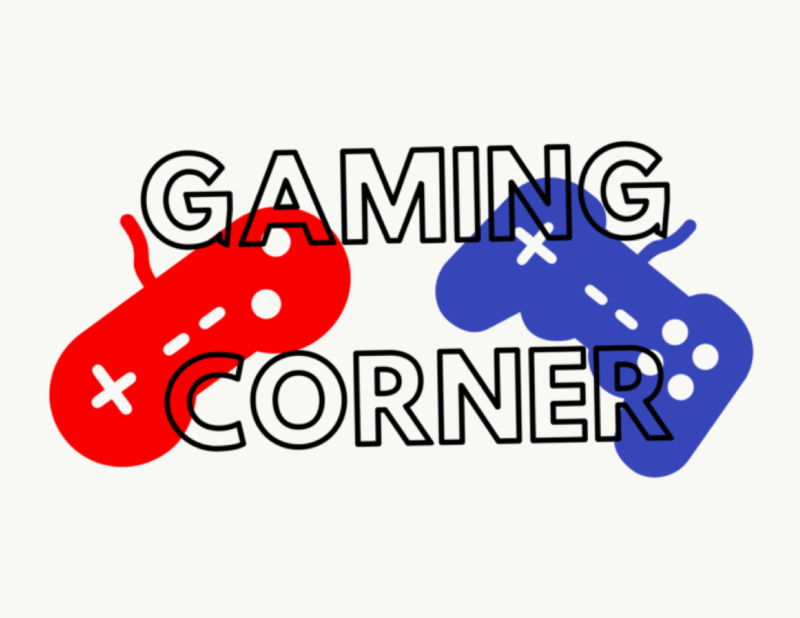 The player is an agent who helps restore civilization among the city as three main enemy factions take advantage of the chaos during a smallpox pandemic and take over leadership positions. Long-term playability is a large goal of Ubisoft and Massive and appears in tons of endgame content beyond the story campaign. Massive released what feels like a full game with an improved combat system that takes advantage of multi-used environments as arenas by changing up missions and varied enemy strategies. Grinding never feels like a grind. Rating: 8.5/10. 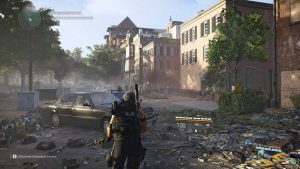 “Division 2”’ was available on March 15, and so far only matching 20 percent of “Division 1” sales. Factors that may have led to this are an exhausted consumer base due to previously mentioned genre issues or not enough good marketing, something the previous title faced during launch in 2016. Still, the exciting game play in “Division 2” will hopefully lead the way in changing what’s to come.